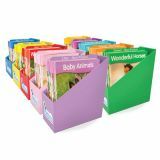 Decodable Holders have been designed specifically to keep your set of Decodable Readers organized and well looked after. Each holder is color-coded to match the phase readers sets. A color-coded double-sided card is also provided; it has fiction on one side and non-fiction on the other. 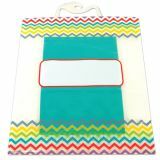 Protect and organize your classroom books and supplies with this versatile clear storage bag! 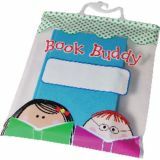 These durable Woodland Friends Book Buddy Bags are a must-have for any classroom! 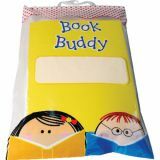 They can be used to store, protect, and organize classroom readers, students' homework or projects, and other materials in the classroom or when students take them home. Each clear plastic bag comes with a sturdy, snap-shut handle for hanging on a classroom storage rack. 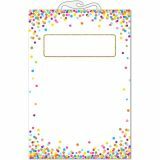 The cute, full-color design on the front includes a place to write a student's name or to label the bag's contents. 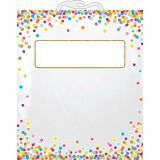 These classroom storage bags are also great for organizing supplies in a school supply closet or shared resource area. 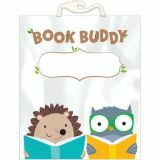 This storage bag features charming woodland animals (an owl and a hedgehog) and is perfect for use in a variety of classroom themes such as science, nature, outdoors, animals, and camping. Bag measures 10½" x 12½"